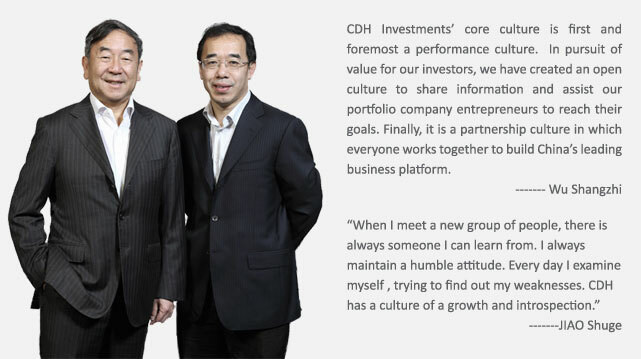 As a capital management firm centered on talent,CDH Investments is an alternative investment management firm that fully understands the importance of talent.We are guided by respect, trust and the desire to nurture all viewpoints. While we emphasize teamwork, we respect individuality. We have an inclusive culture that encourages individual experience and open exchange of ideas. We believe that everyone should use their unique talents to contribute to CDH. We have developed a fair and transparent management system that supports an open environment that brings out the best in each of us. 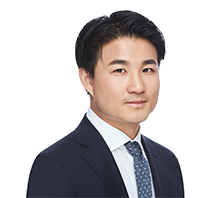 CDH real estate platform provide us with comprehensive development opportunities, to improve our technical skills while enlarge our understanding of the whole industry. Rotations through different departments allows us to get deeply involved in CDH’s various businesses and get a lot of professional training. CDH Investments was named the “2012 Students’ Most Popular Employer” by Tsinghua University. We believe that a good employer must be highly competitive in its industry, strong in its business, and provide its staff with professional training to rapidly enhance their business performance. Even more important is that the company’s resources are open enough to provide a variety of training opportunities and allow individuals and company to grow together. Departmental rotations: For the first two years after a new employee is hired, he or she rotates through the company’s various business departments. New employees have the opportunity to learn about and get involved in different businesses, and to discover their own strengths. At the same time, new hires also have the opportunity to engage in due diligence work on prospective investment opportunities. Free exchange of views: CDH advocates an equal, inclusive and sharing culture. The company has no strict hierarchical system. Only when everyone feels equal do they have the courage to voice their opinions in the investment decision-making process. CDH brings energetic and creative young people together through various team activities to create a diverse CDH family.